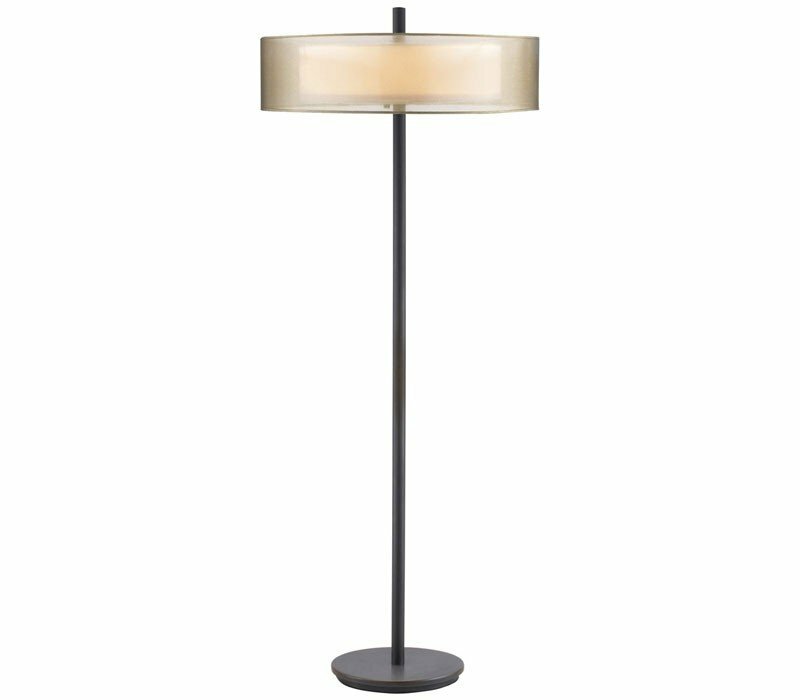 Puri Floor Lamp, where a delicate transparent wisp of silver organza silk floats on captured air, surrounding the softly diffused illumination of a white linen shade. A linen shade that illuminates the subtle colors of Puri's ring of silk, paired with a pure-lined lamp body, create a stunning modern beauty. 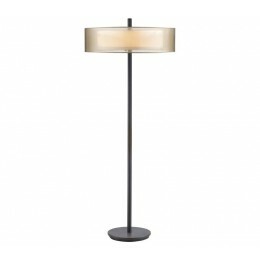 The Sonneman 6016.51 Puri collection Floor Lamps in Black Brass use Incandescent light output and bring Contemporary style. This item is 60.5"H x 24"W. The wattage is 180. The Sonneman 6016.51 requires 3 bulbs (not included). 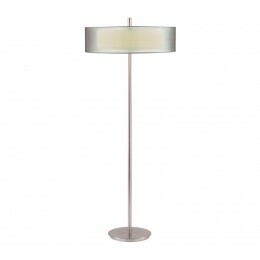 Additional Information: Shade-Organza; Control-Rotary Dimmer.